Postpartum depression is a treatable medical illness that affects about 15-20% of women after giving birth. It can develop anywhere from a few weeks to a year after delivery, but it's most common in the first three months postpartum. It's normal to feel emotional when you've just had a baby. Postpartum depression can be hard to spot, because the moodiness and other symptoms are similar to the "baby blues" — a short-lived state that affects up to 70% of new mothers. Only 15% of all women with perinatal mood and anxiety disorders, including postpartum depression, ever receive professional treatment. Hormone shifts, lack of sleep, and adjusting to life with a newborn can seem overwhelming. But if you've been feeling sad, moody, guilty, or hopeless for more than a couple of weeks, it could be postpartum depression. Some women also report that they don't feel any joy or excitement about their new baby, and they get no pleasure from things they once enjoyed. This is a family issue, not just a female issue. Not all women experience anxiety as a symptom of postpartum depression, but some do. You may feel nervous, frightened, restless, or stressed. Some women have intense worry about their baby's health or safety. 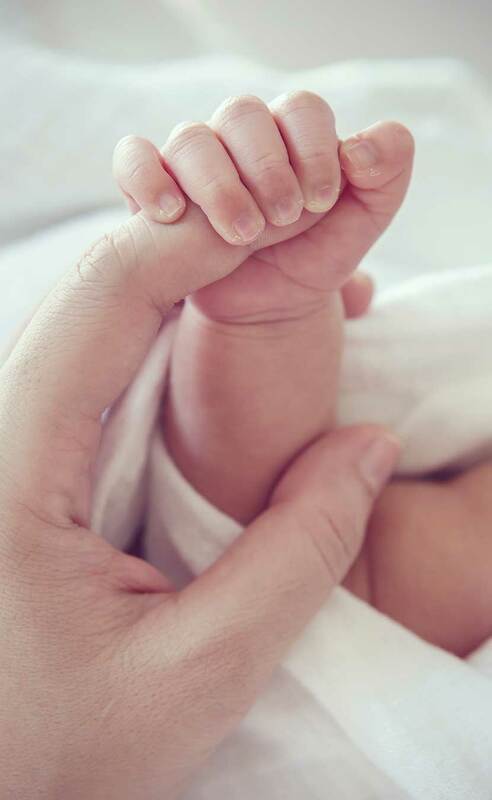 If you constantly feel overwhelmed by the responsibility of caring for your newborn, or if nerves interfere with your ability to handle everyday tasks, it could be a sign of postpartum depression. Mood swings are a normal part of life after a baby arrives, especially in the first two weeks after delivery. Don't be surprised if you find yourself laughing one minute and crying the next. But if these emotional highs and lows continue for more than two weeks or start to get worse, they may be a sign of postpartum depression. PPD is different from the typical baby blues that can occur due to hormonal changes after birth. The lows are more profound and symptoms rarely go away without treatment. What sets postpartum depression apart is how long it lasts and severity of symptoms. The baby blues - having mood swings, feeling sad or anxious, crying for no reason - usually goes away on its own after about a week. If your symptoms persist or get worse over time, you should seek help. In some cases, postpartum depression can start one to two months after childbirth, with strong feelings of depression or thoughts of hurting yourself or your baby. Postpartum psychosis is a rare, serious mental illness. It's more common in women with a personal or family history of bipolar disorder or schizophrenia. Symptoms include irritability, restlessness, rapidly changing moods, confusion, erratic behavior, and delusional thoughts. 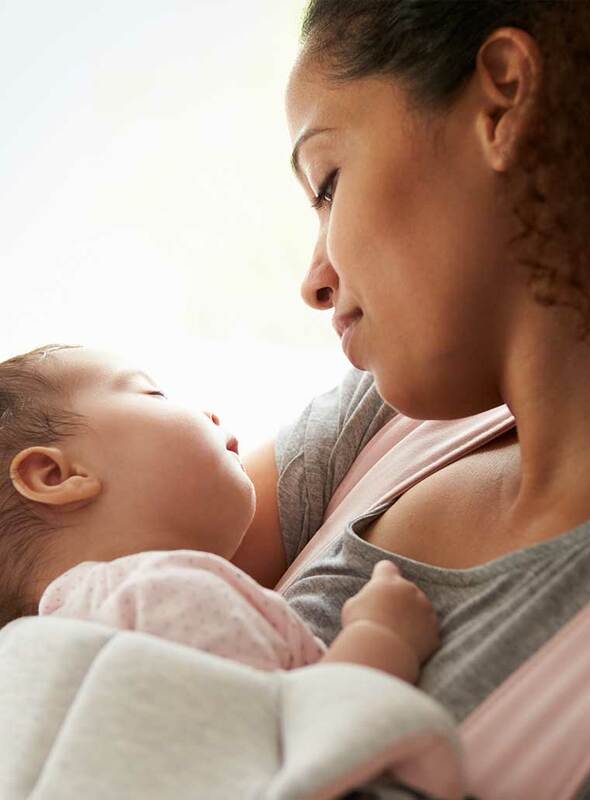 A woman with postpartum psychosis is at risk of harming herself or her baby, so it's important to seek help right away if a new mother is experiencing any of these symptoms. We want you to know you are not alone and you are not to blame.